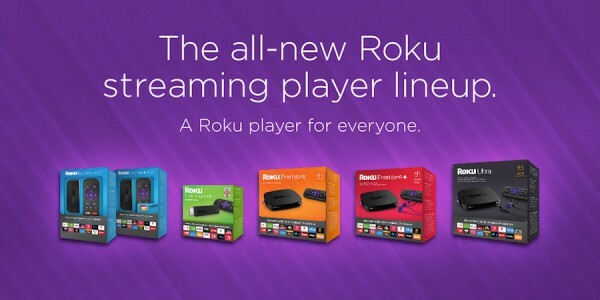 Today is a big day for Roku. The company has never before introduced this many new players to its lineup or carried some of the features now available. The new lineup should contain something for just about everyone, including those on a budget. In fact, a budget is where the lineup begins. The new Roku Express features 1080p support for only $29.99. Perfect for those looking for a second box in another room. If you're still living with an older TV then you can pay $39.99 for the Express+, which comes with a composite jack and a/v hookup -- those old red, white and yellow cables. Next up is the Roku Premier and Premier+ which support 4K at 60 fps. In addition, the Premier+ also supports HDR and features the popular remote control headphone jack. These will retail for $79.99 and $99.99 respectively. Rounding things out is the Roku Ultra and, as the name implies, it includes everything -- 4K, HDR, headphone-equipped remote, etc. However, it packs a few more features such as Dolby Digital Pus decode, voice search and lost remote control finder. All of this retails for $129.99. All players are available today for pre-order and will be in stores on October 9th. You can check them out now on the Roku site.